After breakfast in the morning, we will visit the Delhi Gurdwaras including the Gurdwara Bangla Sahib near Connaught Place, and the Gurdwara Sis Ganj Sahib, built to commemorate the martyrdom of Guru Teg Bahadur, in Chandni Chowk market area. Spend time exploring the market perhaps for shopping for the rest of the day. 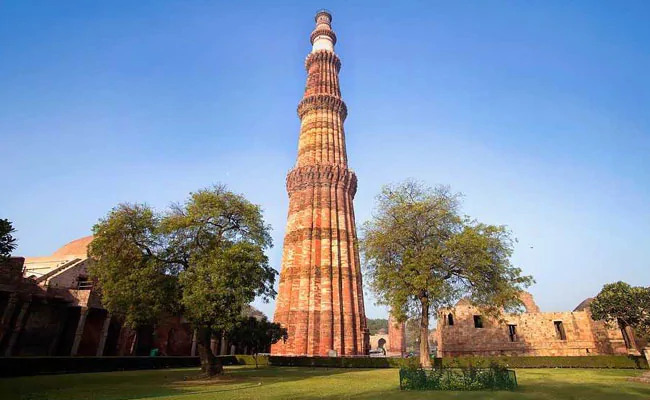 In the evening, we will proceed for an excursion to the Qutub Minar, the oldest Muslim monument in India, and to the nearby Baha'i Lotus Temple, Delhi's most innovative modern structure, the bhai's house of worship is a world where silence and order prevail. The structure is made up of pure white marble, the Lotus symbol is common to Hinduism, Buddhism, Jainism and Islam. Around the blooming petals there are nine pools of water, which light up, in natural light. Later return back to the hotel for an overnight stay. In the morning, we will transfer you to New Delhi railway station to board Shatabadi Express train to Lucknow. Train leaves Delhi at 0615 and arrive Lucknow at 1330. 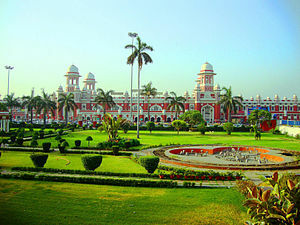 On arrival in Lucknow, meet our representative who will assist you in the hotel check in process. Later in the afternoon leave for a leisure walk in the old market of Lucknow. An overnight stay at the hotel in Lucknow. After Breakfast in the morning, we will visit the Residency complex- site of the famous siege of 1857, Dilkusha Gardens and La Martiniere. 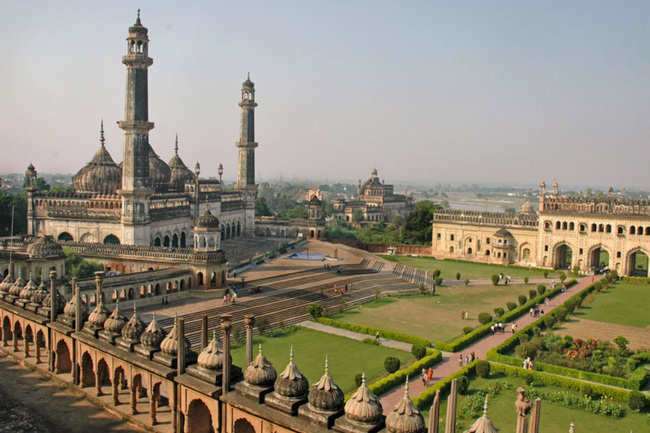 Later in the afternoon, we will visit the monuments of Avadh Nawabs including the Imambaras, Romi Darwaja and explore Lucknow's colourful bazaars. Return back to the hotel for a night stay. Today, early in the morning, we will drive to Sravasti (approximately 5 hrs driving time). Check-in at the hotel. Later in the afternoon, we will visit Sravasti where Lord Buddha passed the greater part of his monastic life and preached after the enlightenment. 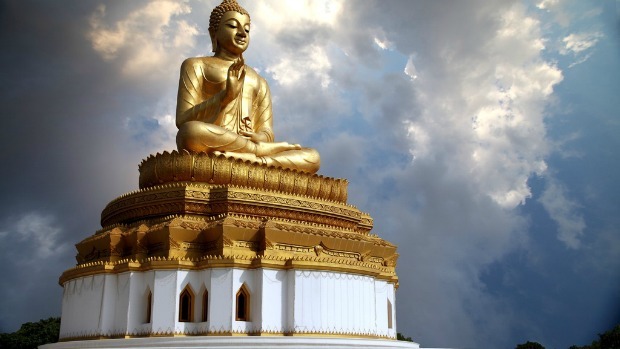 Also, we will visit the Ananda Bodhi tree where Lord Buddha meditated for a night then visit Jetavan where Lord Buddha performed some miracle. An overnight stay at the hotel in Sravasti. In the morning, we will drive to Lumbini (approximately 5 hrs driving time). Check-in at hotel. Rest of the day is free for leisure followed by a night stay in the hotel in Lumbini. After breakfast in the morning, we will visit the birth place of Lord Buddha - Lumbini. Also, we will visit Lumbini Park where the Ashok Pillar carries the inscription - where the Buddha was born. Then, we will visit Mayadevi temple devoted to the mother of Lord Buddha which houses a stone picture of giving birth to Lord Buddha. 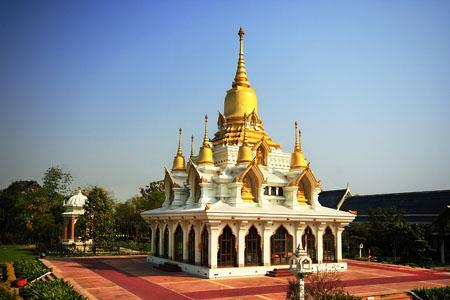 Later, we will visit China temple which is beautiful pagoda style temple with many prayer and meditation cells. An overnight stay at the hotel in Lumbini. In the morning after breakfast, we will drive to Kushinagar (approximately 4 hrs driving time). Check- in at the hotel in Kushinagar. In the afternoon leave by private car for sight-seeing of Kushinagar, one of the major Buddhist pilgrimage destinations where Lord Buddha attained Parinirvana or final Nirvana. Also, visit ancient stupas and modern temples, commemorating the Buddha's death and cremation. Visit the spectacular reclining Buddha Statue. Enjoy a night stay at the hotel in Kushinagar. After breakfast in the morning, we will drive to Patna. 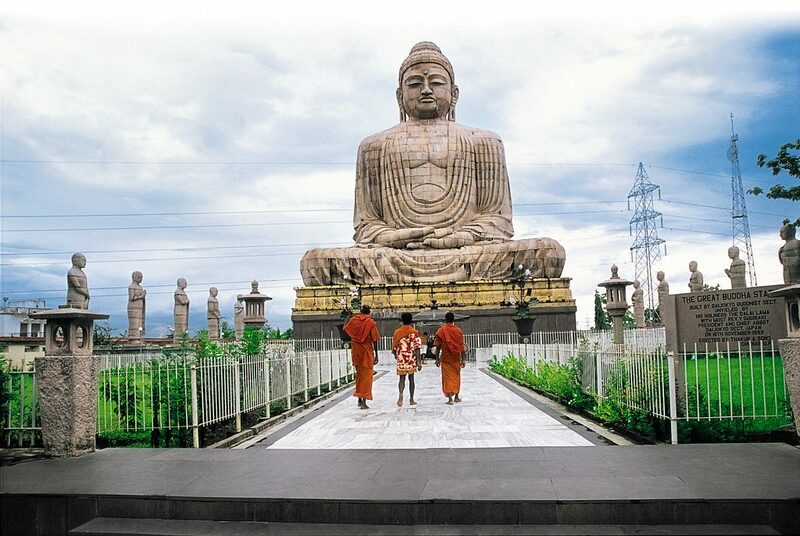 En-route, we will be visiting Vaishali (approximately 7 hrs driving time) where Lord Buddha preached his last sermon. 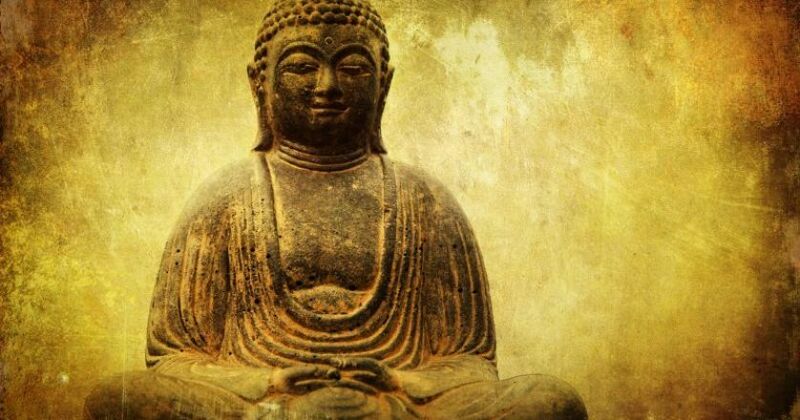 The excavations carried out in Vaishali have brought to light Buddha stupa 1 and 11 (14th century B.C) built in brick with a casket containing part of ashes of Buddha. We will also visit Ashok Pillar, erected by Emperor Ashok to commemorate the spot of the last sermon. 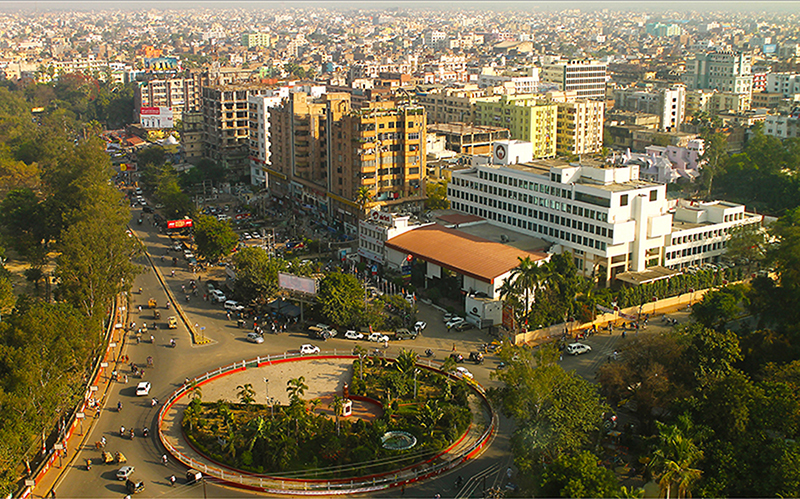 On arrival in Patna, check-in at the hotel for a night stay. After breakfast in the morning, we will drive to Bodhgaya. En-route, we will visit Nalanda (approximately 90 kms) founded in the 5th century B.C. We will also visit an archaeological museum houses the Nalanda University seal, sculptures and other remains found on the site.Later take a 20 kms drive to Rajgir. Further, we will visit Griddhkuta "Hill of Vultures", where Buddha delivered some of his most famous sermons. Thereafter, we will visit Saptparni caves where first Buddha Council was held which is also the source of Rajgir's hot springs. Then drive to Bodhgaya (approximately 120 kms) and Check-in at the pre-booked guest house for an overnight stay. In the morning after breakfast, we will visit Mahabodhi Temple which includes tall stone lotuses, figures of Buddha sitting in different postures on the walls, his footprints on the stones and a colossal golden Buddha in the sanctum sanctorum. The Bodhi Tree is situated in the premises of the temple, is the one under which Buddha attained illumination. Another option is to sit and meditate under the Bodhi Tree. Later return back to the hotel for an overnight stay. After early breakfast in the morning, we will transfer you to the railway station for your train journey to Varanasi. The train leaves Bodhgaya at 0705 and arrive Varanasi 1115. 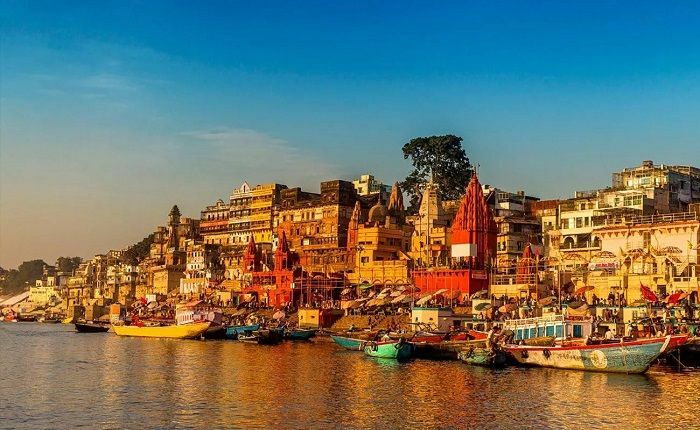 On arriving at Varanasi, meet our representative who will transfer you to your pre-booked hotel. Attend the evening Aarti at Sasumed Ghat on the banks of river Ganges. Enjoy a night stay at the hotel in Varanasi. Today, we will leave for an early morning boat ride at Ganges River. As the dawn mists rise on the Holy River Ganges, glide silently on a boat to see the devout come to bathe and pray. 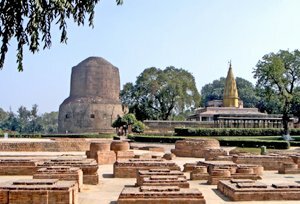 Later in the early afternoon, we will drive to Sarnath where the Lord Buddha preached his first discourse, and to see the Stupas, ancient and modern Temples and Ashoka's Pillar. Lord Buddha came to sarnath after gaining enlightenment under the sacred bodhi tree. The morning time is free for leisure, rest and relaxes. 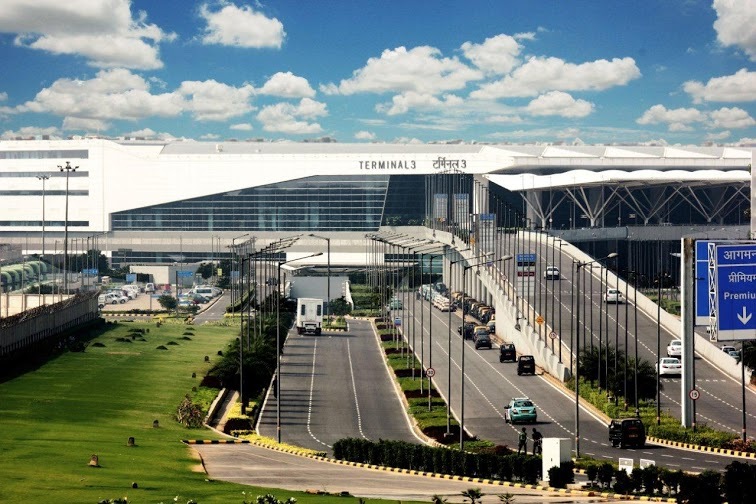 Later in the early afternoon, we will transfer you to the airport to board the flight to Delhi. 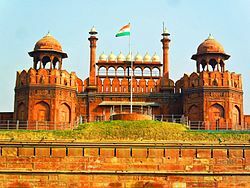 On arrival at Delhi, meet our representative who will transfer you to your pre-booked hotel in Delhi for an overnight stay. 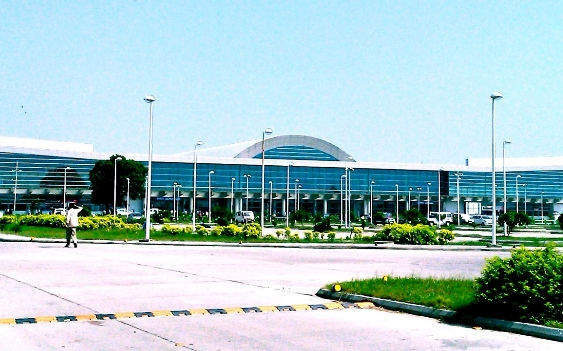 In the morning, we will transfer you to the international airport to board the flight to your home country.